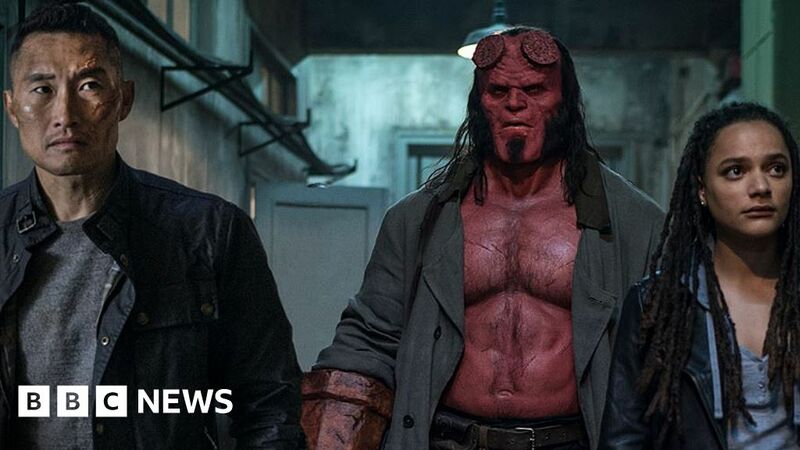 The latest remake of Hellboy has failed to catch fire, mustering a mere $ 12m (£9m) at the US box office in its opening weekend. The turnout falls short of Lionsgate’s $ 20m (£15m) estimated figures. “We live in a time where cinema is dominated by franchise films, reboots and series’ continuations. Some like the Marvel Cinematic Universe and Star Wars eclipse other slightly lesser-known movies of the same ilk, which also may have harmed Hellboy’s chances. Den Of Geek’s staff writer Rob Leane agreed, telling the BBC Del Toro’s formidable shadow added to a “perfect storm of negative influences” dooming the remake to box office failure. Warner Brother’s light-hearted Shazam! – based upon the DC character – continues to top the charts, grossing $ 258.8m (£198m) worldwide. And last year, Avengers: Infinity War made history by earning an estimated $ 630m (£457m) worldwide on its opening weekend. This trend is set to continue with Avengers: Endgame and Joker both “exciting prospects coming up in the comic book movie pipeline,” said Rob Leane. I'm A Celeb: What opportunities await Harry Redknapp?